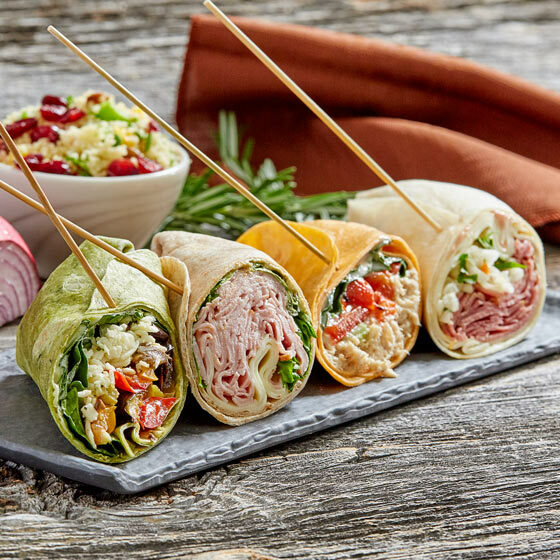 A selection of assorted sandwiches and wraps. 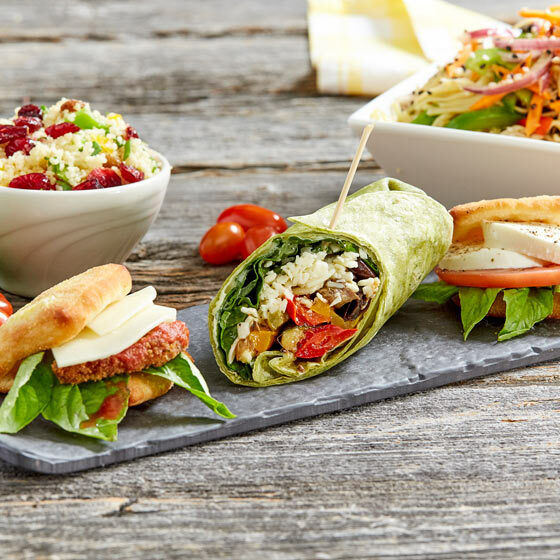 Each platter comes with your choice of Caesar salad or mixed greens salads and choice of one salad bar side. Gluten-friendly options available. Includes a variety of pesto chicken, braised beef, honey roasted turkey and smoked salmon flavours. 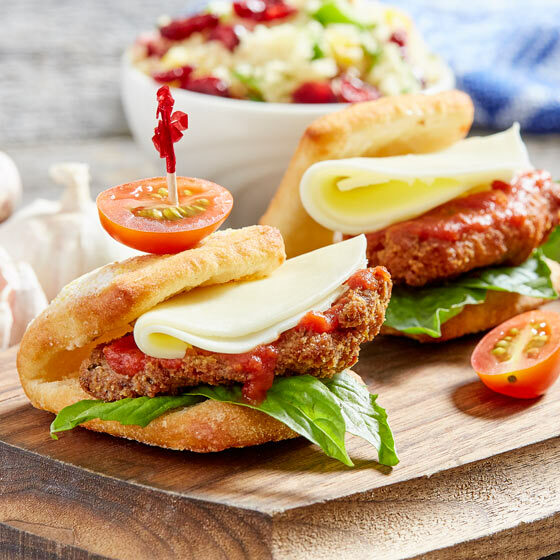 Includes a variety of smoked gouda, eggplant parm and caprese flavours. 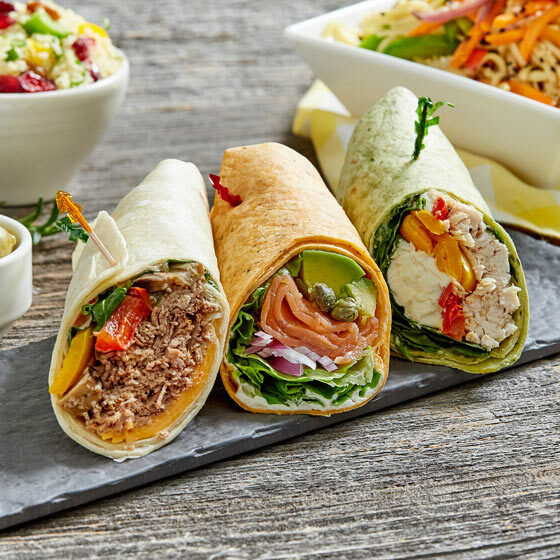 Includes a variety of herbed grilled chicken, tuna salad, smoked salmon and grilled chicken & hummus flavours. Includes a variety of reuben, ham, tuna, and smoked gouda flavours. 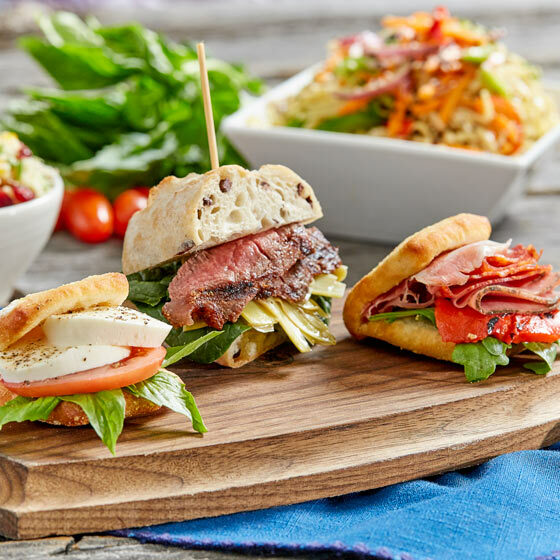 Includes a variety of steak, club and caprese flavours. 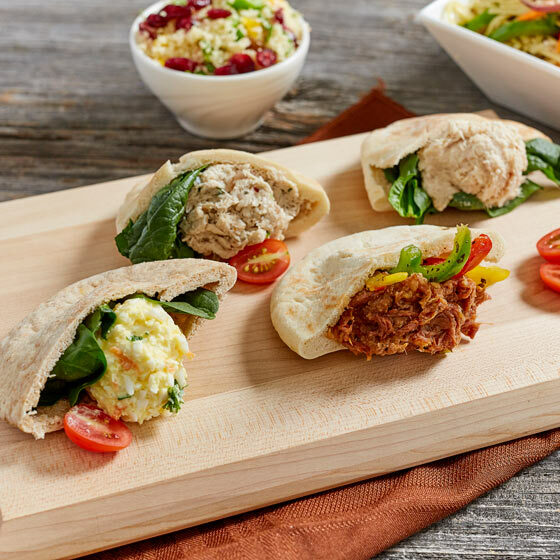 Includes a variety of chicken hummus, smoked salmon and braised brisket flavours. Includes a variety of spicy Cuban, thai chicken and caprese flavours. 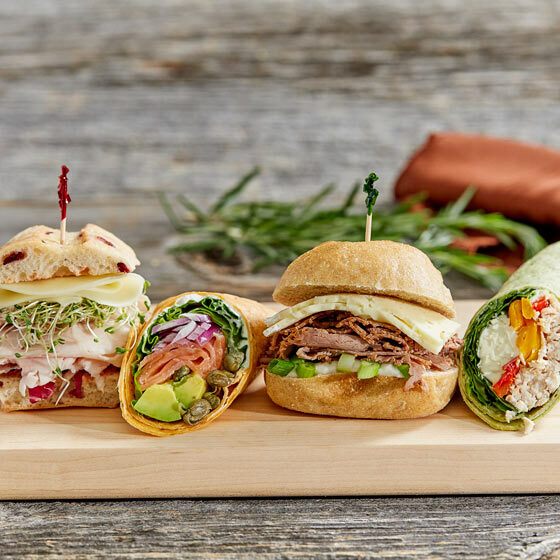 Choose from our selection of vegetarian and vegan sandwiches. 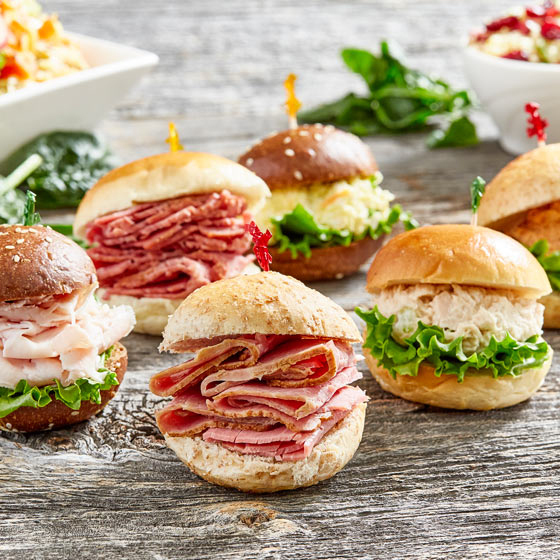 (10 person minimum order unless you have ordered another sandwich platter). Includes a variety of veal, chicken and eggplant flavours. Includes a variety of pulled brisket, jerk chicken, tuna and omega flavours. An assortment of freshly baked breads filled with an assortment of Dairy, Deli and Fish flavours and garnished with mixed pickles. Served with your choice of 2 side salads. Also available on light or dark rye. 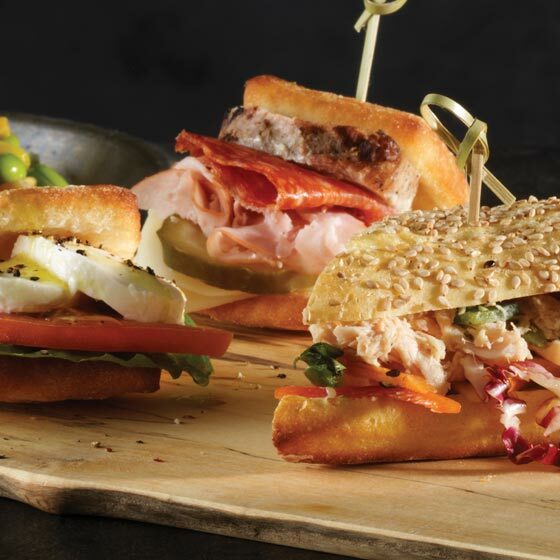 Choose from our selection of gluten friendly sandwiches. 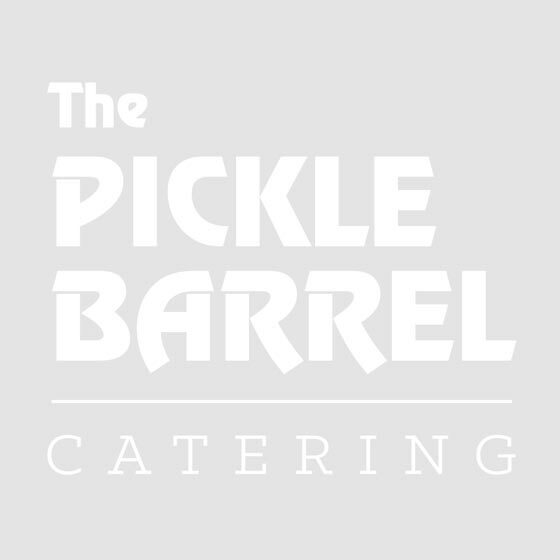 12.99 pp (10 person minimum order unless you have ordered another sandwich platter). 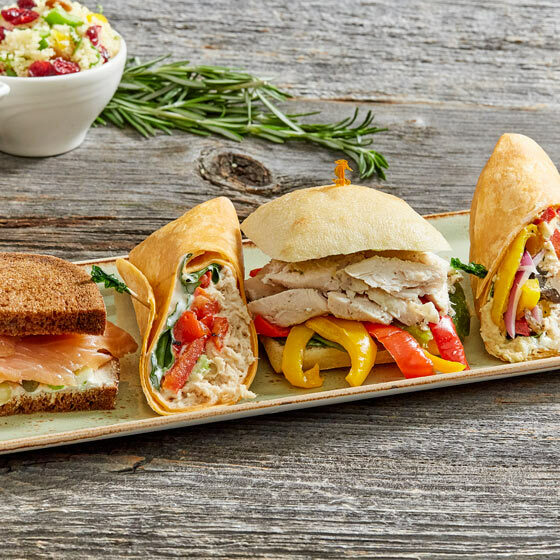 11.99 pp (10 person minimum order unless you have ordered another sandwich platter).